Many doctors advise their patients with atrial or ventricular arrhythmias to stay away from coffee, coke, and other caffeinated beverages. However recent research published in JACC: Clinical Electrophysiology has revealed that coffee and tea at least are safe, and can reduce the frequency of arrhythmias. Arrhythmias are abnormal heart rhythms, and occur when the heart beats too slowly, quickly or unevenly. Some arrhythmias are harmless, and many go unnoticed in patients, but others can increase the risk for sudden cardiac arrest. Atrial fibrillation (AFib) is the most common heart rhythm disorder, causes the heart to beat rapidly and skip beats, and if left untreated, can cause strokes. Some arrhythmias have no associated symptoms, but regular symptoms include dizziness, breathlessness, and palpitations. There are many and varied causes of arrhythmia, including diabetes, mental stress, and smoking. There is about 95 mg of caffeine in a single cup of coffee. This caffeine acts as a stimulant to the CNS (Central Nervous System), blocking the effects of adenosine, a chemical that can facilitate AFib, leading in some cases to strokes. The authors examined and analysed multiple population-based studies to determine an association between caffeine intake and its effects on atrial and ventricular arrhythmias. These studies have consistently shown a decrease in AFib with an increase in caffeine ingestion. Indeed, one meta-analysis of 228,465 participants showing AFib frequency decreased by 6 percent in regular coffee drinkers, while a further analysis of 115,993 patients showing a 13 percent risk reduction. “Caffeinated beverages such as coffee and tea may have long term anti-arrhythmic properties mediated by antioxidant effects and antagonism of adenosine,” Kistler said. Energy drinks should definitely be avoided by patients with pre-existing heart conditions, said the authors, as each energy drink can contain anywhere from 160-500 mg of concentrated caffeine. Three quarters of patients with pre-existing heart conditions who consumed two or more energy drinks per day reported palpitations within 24 hours. Energy drinks are usually carbonated and contain a great deal of sugar and caffeine. They may also contain sweeteners, herbal extracts, taurine and amino acids. While the caffeine and sugar obviously have an effect on the drinker, there is little to no evidence to suggest that the wide variety of other ingredients have any effect. Randomized control trials and large population studies both suggest caffeine intake of up to 300 mg/day may be safe for arrhythmic patients. 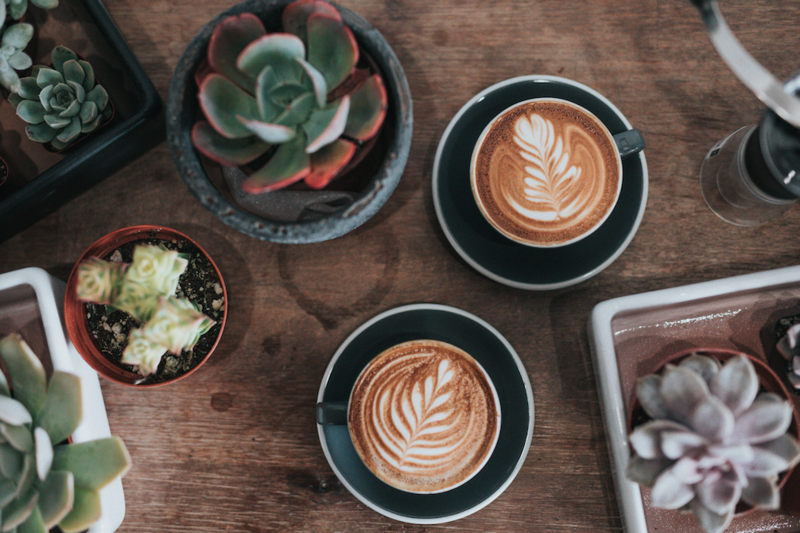 One must consider however that there may be individual differences in susceptibility to the effects of caffeine on the factors which trigger arrhythmias in some, and up to 25 percent of patients report coffee as an AFib trigger. Patients with a clear temporal association between coffee intake and documented AFib episodes should accordingly be counselled to abstain. Future research might examine the relationship between heart rhythm patients and the impact of caffeine abstinence, in order to shed more light on the issue.